on the occasion of 60th Independence Day in Delhi, with few peoples. 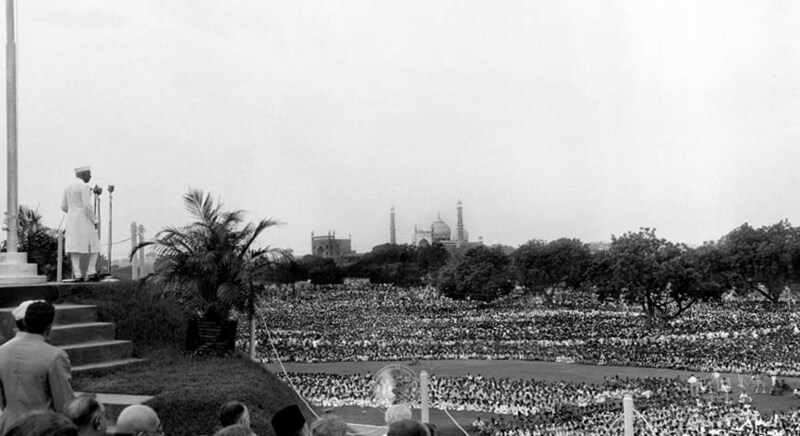 NEW DELHI: The entire city had been enveloped by a hitherto unheard of security cover on the eve of Independence Day. This is also the first time in many years that the agencies have made a public display of the security might with jawans armed with AK rifles patrolling the streets of Delhi. With several inputs suggesting that there was a threat from microlight aircraft, three more anti-aircraft guns were stationed in the Kotwali lawns near Red Fort on Monday. Air Defence Corps staff were seen manning these guns. Anti sabotage squads — comprising men from Delhi Police, NSG, SPG, ITBP and army — have been formed to scrutinise all buildings in the Red Fort roundabout. These teams used Non Linear Junction Detectors to scan all the walls of even the Red Fort. This was done to ensure that explosives were not hidden inside walls or furniture. Snipers were positioned on the rooftops of all highrises in central, north and New Delhi. Cops were on high-alert in south Delhi too with commandos dressed in bullet-proof vests and carrying AK rifles positioned in all crowded market places. More than 15,000 staff of Delhi Police alone is part of the security arrangements for Monday. Apart from Red Fort, the most elaborate security arrangements are in place at Parliament, Rashtrapati Bhawan, India Gate and military installations in the city. The intelligence inputs have warned of an attack on VVIPs, some diplomatic missions and government buildings. The Rajpath area is also under security scanner as vital government buildings, including North and South Blocks, are said to be in the hit-list. Among marketplaces, Palika Bazaar, Karol Bagh, Lajpat Nagar, Malviya Nagar, Ansal Plaza and Connaught Place have been identified as soft targets. Police admit that CGO Complex, housing sensitive government offices of security and paramilitary forces, is also high on the list of possible targets. Military and BSF establishments at Tughlaqabad in south Delhi are also vulnerable to terrorist attacks. There is heavy security bandobust in and around major temples in the city. Troops armed with bomb detectors have been deployed near Kalkaji and Chhattarpur temples in south Delhi. Army Ordnance Depot in Punjabi Bagh, another military building in Anand Parbat and Indian Oil Depot in the district are being looked upon as possible targets.